Zimmerman Area Chamber of Commerce holds it's annual members meeting/dinner. This is a fun event that gets our members together, network, socialize and enjoy the holiday spirit. Contact the chamber office for all the details. 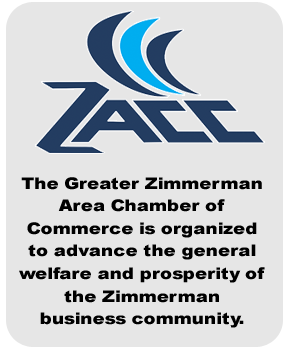 The Zimmerman Area Chamber of Commerce has been serving the area business communities since 1990. As the representative of the business community, we provide benefits to our members and the communities we serve. 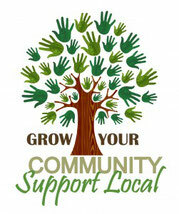 We invite you to join our Chamber of Commerce and it's many area members. We strive for continuous improvement through new and creative ways that anticipate our customer's needs and exceed their expectations. All written copy and imagery is © copyrighted by the Zimmerman Chamber of Commerce and for it's use only.